Pat Irwin is a self taught Irish artist. His home and studio are situated in Limavady Co.Derry, a short distance from the north west coast, and the local scenery is a principal subject for nearly all of his paintings. 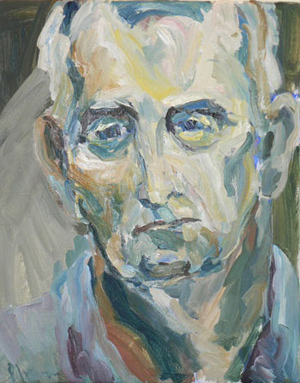 Pat has had successful exhibitions throughout the north including the Gordon Gallery – Derry, Island Irish Art – Coleraine, the Square Gallery – Belfast and his paintings are included in many private and public collections throughout Ireland and abroad. Some of Pat’s paintings that are held in private collections have been registered with the BBC’s Your Paintings website. Vist the Roe Valley Arts and Culture Centre for more details.